The Phoenix S.K. Club is one of the remaining all-male final clubs. After a year and a half of debate and discussion about the College’s historic penalties on members of unrecognized single-gender social organizations, University President Drew G. Faust announced Tuesday that the policy—or sanctions—will go into place as originally outlined in May 2016. Formulated, revisited, and revised behind closed doors by two separate committees, the policy has been met with protest, resistance from some members of the Faculty, and changes in membership policies for over half a dozen unrecognized student groups. This semester, the Faculty continued its debate over undergraduate social life, ultimately voting down a motion intended to prevent the sanctions. 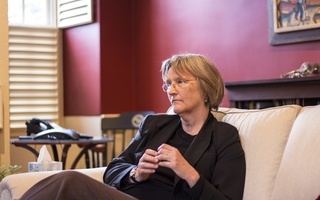 University President Drew G. Faust was expected to make a decision regarding the future of the policy after the Faculty had completed their discussion on the matter. Now a decision has been made—but it’s not just Faust’s decision. 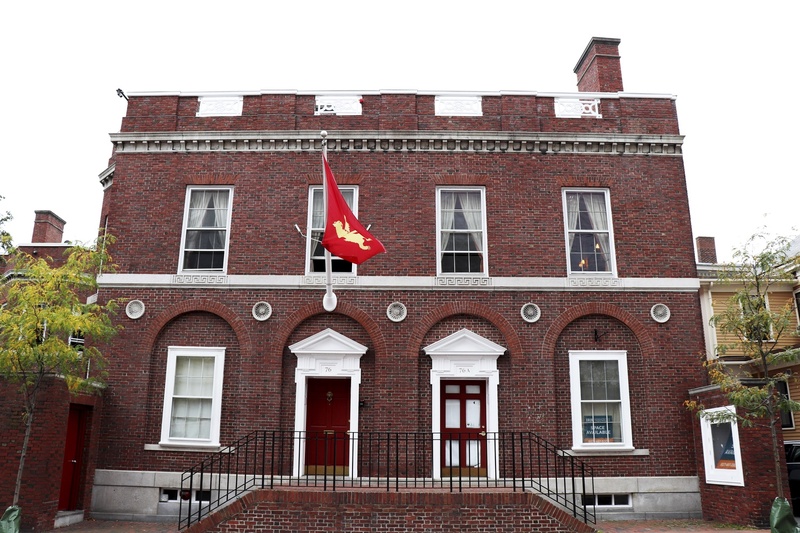 A policy that once started in the College’s Office of Student Life has now reached the University’s highest governing body, the Harvard Corporation, which voted to approve the sanctions Monday. Here’s a brief explanation of Harvard’s social group policy and how we got here. 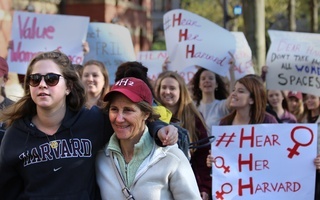 Breaking from the College’s near-three-decade-long pattern of administrative distance towards its unrecognized social groups, administrators made the historic move in May 2016 to regulate Harvard’s off-campus social life. 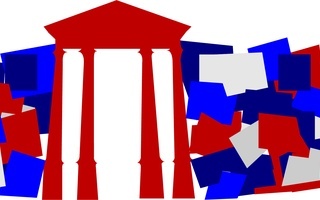 The policy—which applies to the Class of 2021 and all successive classes—bars members of single-gender final clubs, sororities, and fraternities from holding leadership positions in recognized student organizations, becoming varsity captains, or receiving College endorsement for prestigious fellowships. The Corporation’s decision stipulates that the social group penalties will be reviewed after five years, with intermittent reports to the Faculty of Arts and Sciences during that period. What about banning social groups entirely? After continued Faculty pushback last year, Dean of the Faculty of Arts and Sciences Michael D. Smith created a committee to revise or replace the sanctions. Co-chaired by Dean of the College Rakesh Khurana, that committee released its preliminary recommendation in July: that all social groups on Harvard’s campus—including gender neutral groups—be “phased out” by May 2022. In a 22-page report, the committee explained that a potential social group ban would replace the current sanctions and would take effect beginning with the Class of 2022. Other colleges like Amherst and Bowdoin, which have banned Greek life, provided inspiration for the committee’s recommendation. The decision was met with significant backlash from opponents of the original sanctions. A report in The Crimson later that month showed that the recommended ban on social groups did not receive a majority, or even a plurality, of the committee’s votes. The latest decision by the Corporation nullifies any attempt to ban social groups. The next time a ban could feasibly come up for discussion is during a future review of the policy. The Corporation, a 13-member body of lawyers, academics, and business people, ultimately made the decision. They voted on Monday. That the Corporation made the decision is unusual. The Corporation does not typically involve itself in debates over undergraduate social life. It stepping in to make the decision extends the reach of the policy beyond Faust’s presidency and ties the hands of Harvard’s undetermined 29th president. How do Harvard affiliates feel about the policies? Even before they were even announced, Harvard’s efforts to penalize social group membership were controversial. 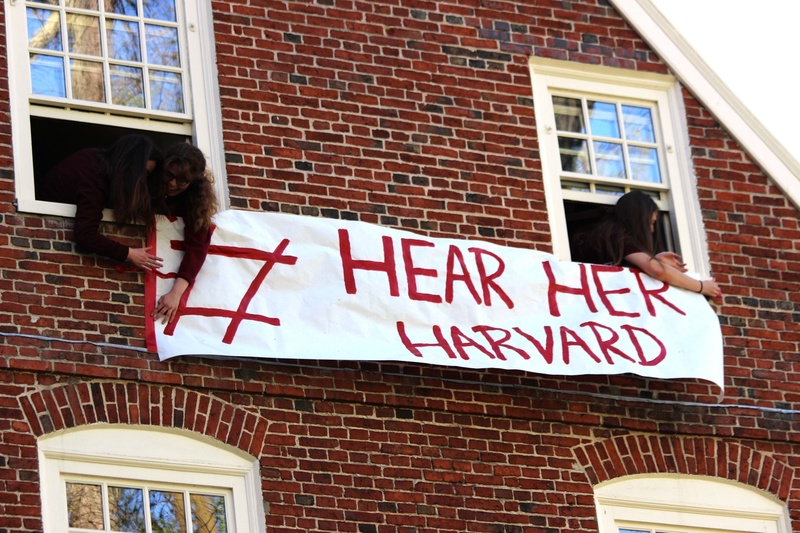 Shortly after Faust’s announcement, the original policy garnered national attention and sparked strong opinions across campus; many students, faculty, and outside observers opposed it, while some professors, varsity coaches, and members of the Harvard Corporation publicly stated their support. Sorority members protested the College's penalties on members of unrecognized single-gender groups last year. Unsurprisingly, the clubs themselves have harshly opposed all proposed regulations: the proposed ban also fed speculation that final clubs would potentially sue Harvard. That motion divided professors for months, ultimately prompting Khurana to create the committee to revise the policy. Lewis reintroduced his motion after he found the committee’s recommendations unsatisfactory. The Faculty ultimately voted down Lewis’s motion last month, paving the way for the continuation of the sanctions. What effect has the policy had so far? 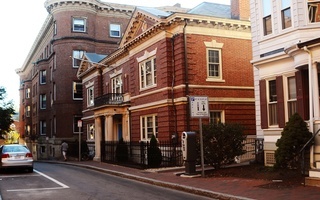 Seven social groups have changed their membership policies since Harvard announced it would penalize social group membership: the Bee Club, the Delphic Club, the Oak Club, the Sabliere Society (now the “Sab”), the Seneca, Alpha Epsilon Pi (now the “Aleph”), and Kappa Sigma (now the “KS”). 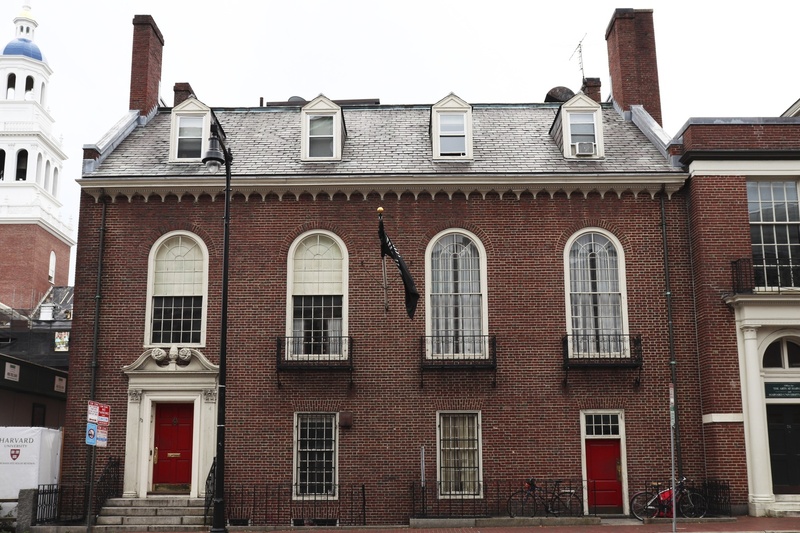 In the months after the sanctions were announced, the Oak Club, the Sablière Society, and the Seneca, announced plans to adopt gender-neutral membership policies. They joined the Spee Club, which allowed women to join in the fall of 2015. Alpha Epsilon Pi, was the first fraternity to become co-ed and disaffiliate from its national chapter in the spring of 2017. Kappa Sigma went co-ed in September 2017 and subsequently was “unanimously expelled” from their national chapter. Over a dozen social organizations continue to operate as single-gender. Six out of eight traditionally all-male final clubs remain all-male. The Fox Club’s undergraduates unilaterally welcomed several women members in the fall of 2015, but graduate board opposition ultimately quashed that effort. The women’s membership was revoked their membership this summer. Two fraternities—Sigma Chi and Sigma Alpha Epsilon—remain all-male. 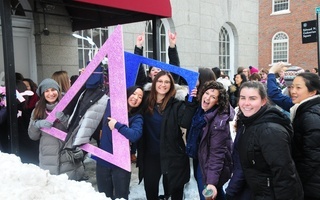 None of Harvard’s four sororities—Alpha Phi, Delta Gamma, Kappa Alpha Theta, Kappa Kappa Gamma—have made changes to their policies. After a year and a half, it appears debate over the scope of the penalties is officially over. Further discussion over the implementation of the decision is likely to continue with College administrators. Last spring, a committee recommended that the College’s Honor Council be responsible for adjudicating cases where students are found in violation of the policy. Lawsuits could also be coming down the pipeline. The Fly, one of the all-male final clubs, retained legal counsel last year, while other clubs also considered legal action after the announcement of the proposed ban. Next fall, the Class of 2021 will become the first class affected by the sanctions to go through punch—the final clubs’ months-long selection process for sophomores, juniors, and seniors.